We provide extensive training and require our team to test out of the services we offer to ensure they are performing services and customer service to our standards. In addition they take ongoing advanced classes to further their education and provide the best service possible. At Let Em Have It Salon, the entire focus of our team is to ensure every guest’s day is being made and that you’re our number one priority. We always work as a team to ensure your needs are taken care and that you’re accommodated. If you’re having trouble getting in with your regular stylists, or would like to switch it up, let us know we are all happy to service you! Medium Length is considered a chin length bob to collar bone. 60min Includes shampoo and 30min classic blowout style. This length is past your collar bone or coarse curly thick hair that requires more time to prep prior to cutting. 75min Includes shampoo and 45min blowout style. 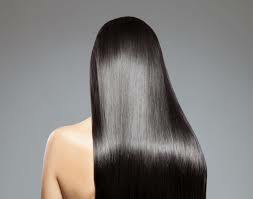 Repair dry damaged lifeless hair with a customized repair treatment. Wake up your hair follicles and remove dead skin and buildup with a scalp treatment. Give your hair all the body and volume with this full body blowout. Great for medium to long length style with lots of volume. Book this blow out if you're looking to smooth curly coarse hair 60min. A retouch is applied at your root to cover grey or change the color of your hair. This service is for a color that has grown out up to 6 weeks. For haircolor that has a grown out longer than 6 weeks or for clients that are coloring your hair for the first time with us, please book a single process color. This will allow your color to be more blended ensuring a beautiful finish. 75min. Includes a 30min basic blowout style. This is a root to ends allover permanent color application. This color is for new color clients looking for a retouch color or for people that would like to change their allover color. 90 Min. Includes a 45min blow dry. What the heck is a toner and why do I need one? Toners are used to neutralize brassy tones after a highlight service. They are often applied at the shampoo bowl after washing out highlights. When you highlight your hair using lightener, your hair can become vulnerable and is in a raw state, by providing a toner we give your hair more nourishment which will also give you a more finished and longer lasting result. You can book a toner as a shine treatment in between colors to keep your color looking fresh. We now include toners in all of our highlighting services to ensure a longer lasting result. New to highlights? This is a great introduction to highlights without the commitment to maintenance. Brightens your face and adds a subtle dimension. Includes a toner and 30min classic blowout. What the heck is a balayage?? 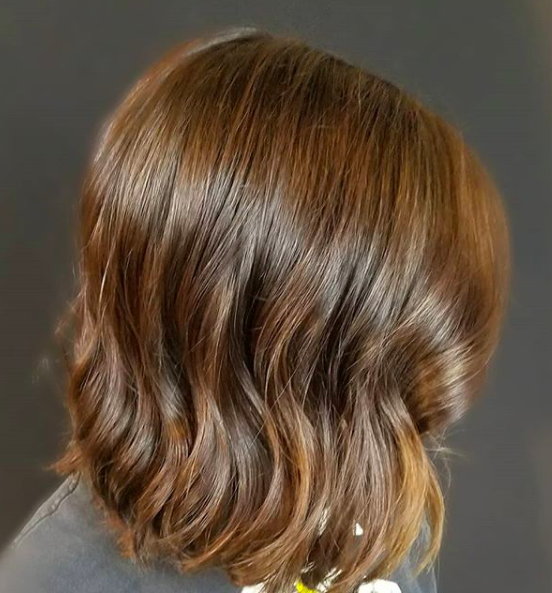 A balayage (ba·lay·age) is a free hand painting technique used to give the look of a natural sun kissed color. Great to achieve a lower maintenance, diffused soft natural looking highlight. Not ideal if you want more brightness through the crown and sides, book a traditional highlight to achieve this result. Similar to a partial highlight this covers your full crown and sides. If you've had a balayage and just need to retouch it, book this service. Includes a toner and 45min blowout style. If your service should exceed 3 hrs additional charges may apply. A cost estimate will be determined at the time of your consultation. This service is to create a overall lighter sun kissed color. The price below is for a 3.5 hour color service, includes a toner and a 45 min blow out style. If your service should exceed 3.5 hrs additional charges may apply. A cost estimate will be determined at the time of your consultation. This service can be booked with a Lead or Master Stylist only. This color is to create a fashion color like purple, mermaid hair, rainbow, silver colored hair. This can also be a corrective color going from dark to blonde, blonde to dark and any major change. A color consultation is required. Plan on a minimum of 5 hrs it can take multiple sessions to get to your desired result. A cost estimate will be determined at the time of your consultation. The following prices is based on a 3 hr service. Keratin Complex is a unique Smoothing Treatment that infuses the lost keratin (protein) in your hair to repair years of damage and restore the health of your hair. With the smoothing power of natural ingredients like amino acids, K-Pure Juice™+ chamomile extract, it helps to smooth frizz, increase shine and repair damaged over processed hair. Give your hair an added boost of protein, you can also add it to your color service. Keratin Smoothing Treatments do not permanently straighten curly hair, they cut down drying time and make your curl smoother, shinier and more manageable. Book a complimentary consultation to best select the right treatment for your hair and lifestyle.